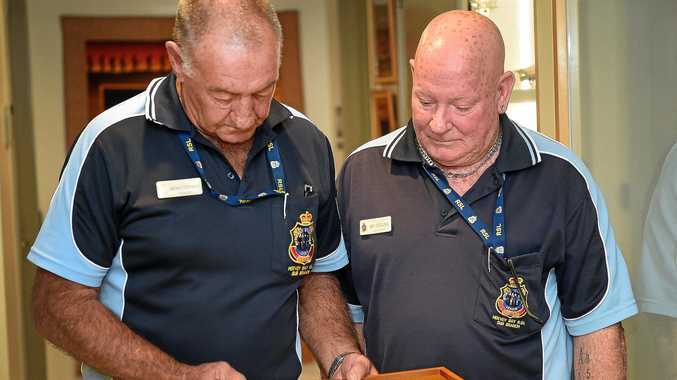 A MARYBOROUGH business owner has engraved his generosity into the hearts of staff at the Fraser Coast Training Employment Support Service with donations and discounted prices. Maryborough Bolts and Accessories owner Peter Van Bruggen said Fraser Coast TESS had been a customer of his business for more than three years and he was always happy to help out with tools and equipment for training programs and projects. His latest donation is an engraving tool to help identify TESS equipment. "I give the groups good prices and donations," Mr Van Bruggen said. 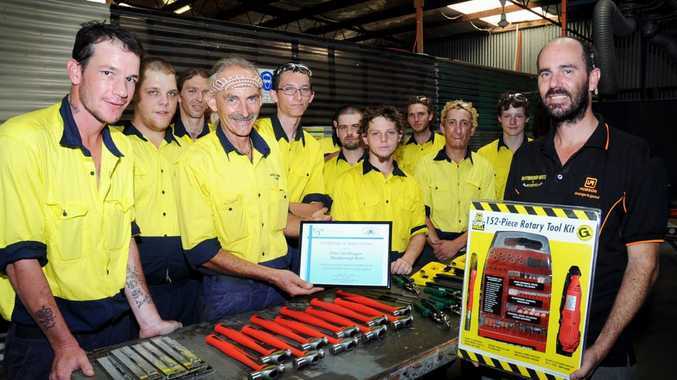 Fraser Coast TESS engineering trainer David Sanders said he really appreciated the donations. "Peter has been a great supporter of the program with supplying tools, glasses, welding helmets and more," Mr Sanders said. "We wanted an engraving tool to mark our equipment and our recent purchase of new tools. "The students will be able to use it to identify their own tools and equipment." The engineering students are eligible participants receiving funded training through Skills for Education and Employment (SEE). For more information on SEE programs in Maryborough, Hervey Bay, Biggenden, Bundaberg and Gympie, phone TESS on 4122 4444.